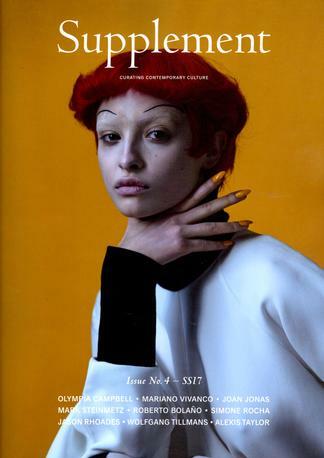 Launched in late 2015 Supplement is a new English magazine devoted to contemporary culture in its widest sense. Drawing connections between the art produced in the margins of society and the simple, everyday way in which people change and re-imagine their own lives; between the old avant-garde and the new frontiers of experimentation; between beautifully crafted images and long-form writing. Be the first person to tell us what you think about Supplement and you'll save $5 on your next purchase! This is published 2 times per year, please allow up to 12-21 weeks for your first delivery. Please note this magazine will be a current issue at the time.